If morning sickness is wearing you down, recent research on the benefits of morning sickness may help your spirit a little bit. 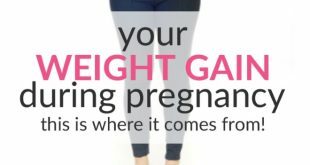 While you walk around feeling nauseated and miserable, your baby is protected from illness, is possibly becoming brighter and your miscarriage risk is cut by half. Not too bad a compensation for this rough start of pregnancy. Let’s look a bit closer at these benefits of morning sickness. So Should We Just Endure The Nausea? Coffee, alcoholic beverages, fried food, meat, poultry fish and eggs are some of the foods many women simply can’t handle due to morning sickness. As you may know, coffee has been show in several studies to increase miscarriage risk. Meat is not bad per se, but raw meat or fish can parasites and pathogens that are very dangerous for the fetus during those first sensitive weeks of pregnancy. And since pregnant women’s immune defense is suppressed to allow the embryo implant properly into the womb, mom is also more sensitive to germs and toxins. Hence, both the baby and mom benefit from the pregnancy nausea. In many warm countries, it is common to use spices to kill off potential germs in the meat. However, spicy foods are also known to trigger morning sickness. This actually also makes sense from the perspective of protecting the fetus; many herbs contain toxins, that may be bad for the sensitive embryo. An interesting cross-cultural study carried out already in year 2000 found that in 27 societies, morning sickness was unknown, while in 20 other societies, morning sickness was very common. There turned out to be a big difference in diet between these two groups. In societies where pregnancy nausea was absent, people rarely ate animal products, but rather corn, rice, tubers, and other plants. In the other group, the diet often contained meat, fish and dairy products. So nausea during the first trimester does make sense. It helps protecting both the mom and baby from harmful substances. There is quite a strong negative correlation between morning sickness and miscarriage risk. As you may know, miscarriage risk is by far the highest during the first trimester. (You can find miscarriage statistics by week here.) However, a recent study found that for those women experiencing morning sickness, the risk is significantly lower than average. Women experiencing nausea during pregnancy have around 50% lower risk of miscarriage than those who don’t. For women younger than 25, the risk of miscarriage is 4 times lower if experiencing morning sickness. For women older than 35 the connection was even stronger. Thos not experiencing morning sickness has an almost 12 times higher risk of miscarriage. Also, the longer the nausea persisted, the lower the miscarriage risk. Women older than 35 were 80% less likely to miscarry if they experienced nausea during more than half of their pregnancy. And finally the more severe the nausea, the lower the risk. Caffeine has been debated many times as to whether it actually increases the risk of miscarriage or not. A study in 2010 seems to have put an end to these discussions though. Following over 2,600 pregnant women, the researchers found that a higher intake of caffeine during the first trimester resulted in a sharp increase in the risk of subsequent late miscarriage and stillbirth. For example, women consuming more 2 cups of coffee had twice as high risk of miscarriage compared to those drinking only one cup. And among those consuming more than 4 cups (300 mg of caffeine), the risk of miscarriage was more than 5 times higher! The researchers are not sure yet exactly what it is in the caffeine that triggers this risk, but it does make sense that many women get nauseated by coffee during the first trimester. There are other substances too that increase the risk of miscarriage. A study that really made the headlines in 2009 was that morning sickness resulted in brighter babies. Researchers in The Hospital of Sick Children found a link between pregnancy nausea and the IQ of the offspring. On average, moms who suffered from morning sickness had children with an IQ 4-7 points higher than other moms. There has been quite an inflamed debate on whether this is simply an independent correlation (similar to the fact that there are more storks in Germany during years of increased childbirths) or if the nausea is actually somehow related to the brain development. Some argue that since moms with pregnancy nausea are less likely to eat and drink harmful substances, their fetus is on average more protected from food-borne illness and chemicals that potentially could impair the development of critical organs, including the brain. It should be noted that the study that came up with the result was not directly aimed at comparing IQ among children depending on the incidence morning sickness of their moms. 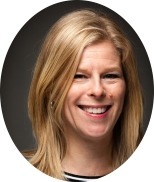 The study was looking primarily at the effects of the moms using the nausea drug Diclectin. Nevertheless, they found a positive association between morning sickness and the child’s IQ. Ok, so nausea makes sense for keeping the baby healthy – a great benefit of morning sickness. That’s good to know. But the question then is how to act on that insight. Should women simply endure 5-40 weeks of constant nausea? 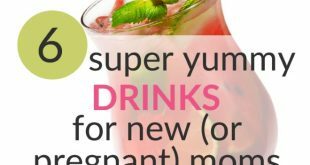 The researchers’ recommendations are to at least not try to force yourself to eat whatever triggers the morning sickness. And if you do medicate, you should be aware that the foods that made you nauseated before may still not be healthy for your baby. But of course, if all meats make you run to the bathroom, it does not mean that even fresh, but well-cooked meat would harm your baby. A growing baby needs protein, so in this case, a nausea remedy may certainly be good for both mom and baby. Your best option is to learn both about effective remedies for morning sickness and how to eat healthy during pregnancy and what foods to avoid, regardless of how hard you have been hit by morning sickness. If you are curious about when morning sickness started and stopped for other pregnant women, check out this poll. If you want to learn more about healthy eating during pregnancy, check out any of these books. How do YOU cope with morning sickness? Share your best tips be leaving a comment below. 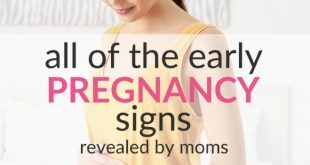 Poll: All The Early Pregnancy Signs Revealed By +2,500 Moms!